The following featured projects are examples of some of the ways that our customers use Chat Mapper to further the fields of gaming, e-learning, and research. If you would like us to feature your project, please contact us. LearnBrite are first in the World to meet the need for immersive browser-based 3D eLearning systems, compatible with learning management systems, such as Moodle and Blackboard, or in a standalone environment that can be easily integrated deployed and updated without the need for software installation, plugins or IT security issues. This showcase demonstration shows the power of Chat Mapper when used with Avatars in virtual environments, enjoy. This dialogue system is one of the best designed and documented that we have seen and we hope you will give it a try! Chat Mapper’s power is harnessed to increase the production efficiency of Knee Deep’s characters, nuanced storytelling, and the melodrama of swampland Florida. The game has been released and can now be purchased on a number of platforms, so I would suggest you check it out! Alexander van Dam’s Master’s degree for Industrial Design at Eindhoven University of Technology relied heavily on chatmapper to make it manageable to complete as a solo author. As can be seen in the video he designed a co-op conversation game installation called IE2EI. The aim for the project is to provide an interactive installation in public spaces (such as bus stations, train stations or airports) in order to act as an “ice breaker” for strangers to communicate with each other. By getting people together this way the intent is to create a more social environment in public spaces. Both players can see the other player and their own holographic interface. The “cards” at the bottom of the screen only face one player at a time, while the top textbox is shared by both players. By choosing their own options without the other player knowing both players can influence the direction of the story. By both experiencing and “creating” their experience and sharing non-verbal communication the players are primed and more likely to discuss their experience with each other afterwards. The display was made using an old trick called pepper’s ghost, or at least something similar to it. One monitor is placed on the bottom facing up (as seen a bit in the video) and a second one is in the top aimed downwards. The glass plane in the middle reflects anything that isn’t black to one of the two sides resulting in both sides seeing the reflection of a different screen. 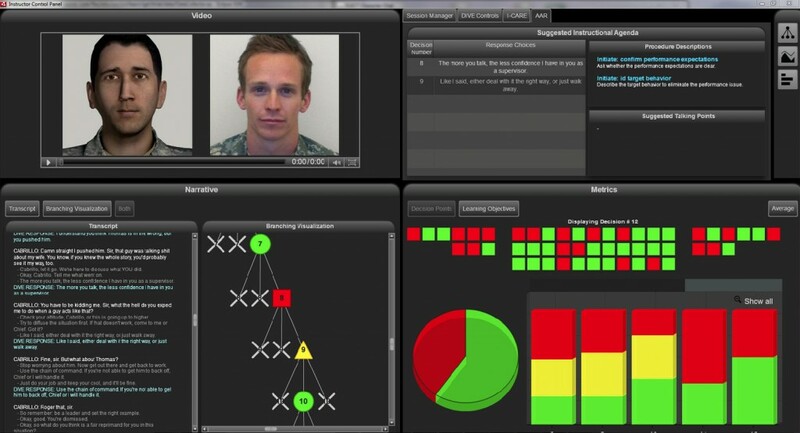 SkillScaper, a new and emerging leader in e-learning, has announced a partnership with Urban Brain Studios to use the Chat Mapper engine as a basis for a new suite of non-linear e-learning content creation and simulation tools. We are very excited about this partnership and plan to bring Chat Mapper technology to classrooms around the world. Boldly running CryEngine 3, a group of volunteers has set on breathing life into Adelpha once more – allowing everyone to live through new adventures of Cutter Slade. Saving Adelpha will be once again, up to you! 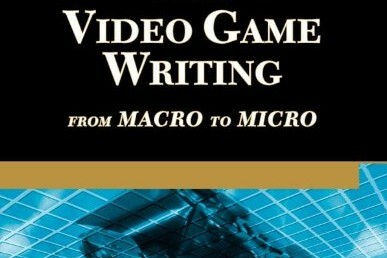 Maurice Suckling and Marek Walton have, between them, worked on over 40 games, for almost every major Western publisher. Indie Prize winner for “Best Narrative” at CasualConnect Europe. An interactive narrative adventure game called Herald. Herald is an Interactive Period Drama for PC, Mac and Linux. Join Devan Rensburg, a man of mixed heritage in search of his roots. Chat Mapper allows Wispfire Games to affordably produce rich narrative experiences. There are some very interesting results in this paper including strong arguments to use virtual humans in a training environment. Commander Kamala Lays Down The Law is a retro space action RPG that brings back all the fun you had playing the sci-fi adventures of old, from Star Flight to Star Control with a health dose of Space Quest thrown in. You play as Commander Kamala Jones, leading her crew aboard the Towering Justice to uphold law, order and a strong social media presence in the galaxy’s 912th Star Ranger Precinct. Escape Fuel games happily uses Chat Mapper and recommends it to others. 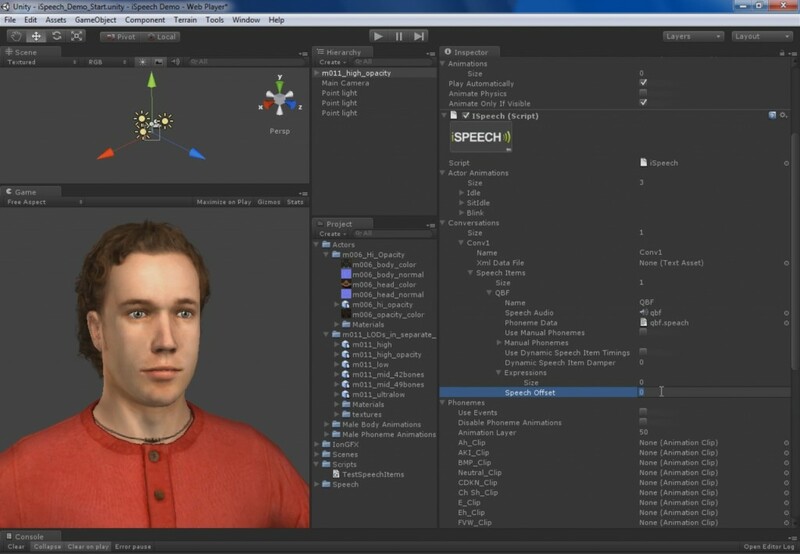 iSpeech is a standalone Unity3d plugin that works in conjuction with iDirect. iDirect is a staging system for blocking your characters’ movements, actions at markers, interactions with other characters and speech. iDirect+iSpeech are integrated with Chat Mapper so that all you have to do is point/click and assign a conversation script to have one or more characters move and interact with each other intelligently. Christy Dena was commissioned to create a 3D installation for a 6 month digital writing residency at The Cube. The Cube is a world-class Science and Technology center at QUT in Australia. The installation, called ‘Robot University,’ was made for multiple large touch-screens, projectors, and motion-sensing Kinects. One of the interactions was with a robot the user could talk to through dialogue selections. I began writing with mind mapping software, and some online tools. But I needed to find a solution that would work with Unity, and would give me more freedom with the interaction design. After trialling different software programs, I came across ChatMapper. 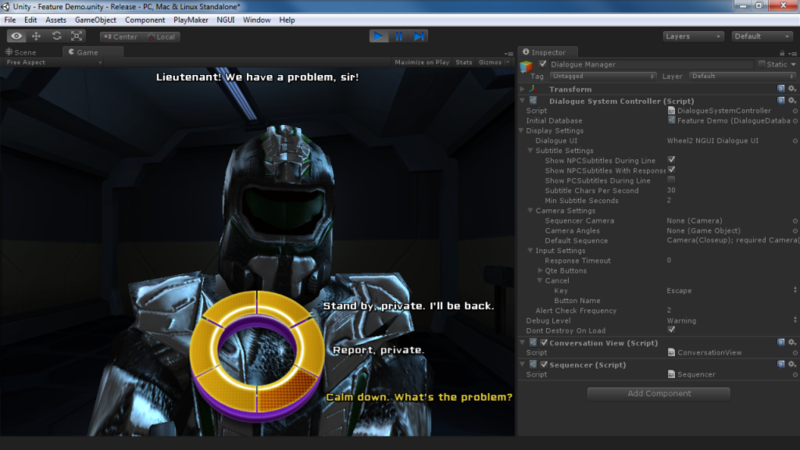 We used The Dialogue System plugin with it and found the process a breeze. I was able to write the dialogue quickly, matching branches and even entering the animations and audio files that would be triggered with each interaction. I then exported the file and sent it to the programmer to load into Unity. This process meant that I was able to iterate the writing and animations and audio commands as many times as I needed. The effort on the programmer’s end for this was incredibly low, and so I didn’t feel the pressure of forcing big changes in the code each time I wanted to tweak. Such production upsets usually results in having to lock off the writing early and being stuck with dialogue that isn’t ideal. As I was designing and directing the entire project too, the ability to iterate the writing whenever I had the chance and right up to the last second was a development dream. Since then, I have been heartily recommending ChatMapper to my colleagues and students! 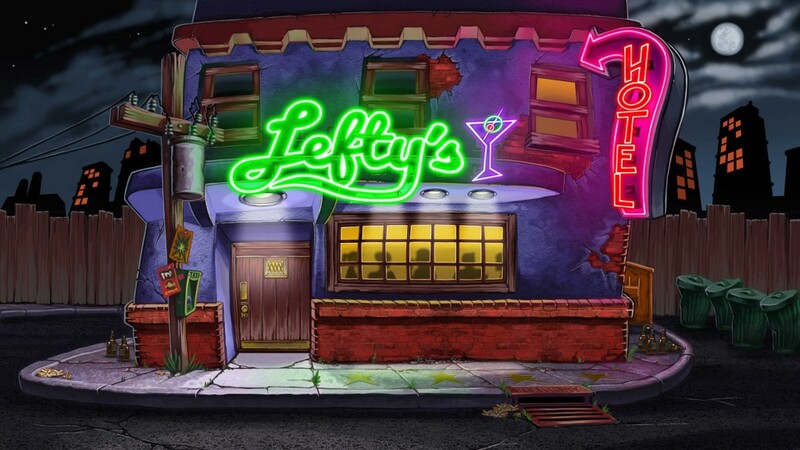 An interactive choose-your-own adventure where you journey through a stylized world of choice and consequence. Choose Wisely! 1,816 backers pledged $44,134 to help bring this project to life.